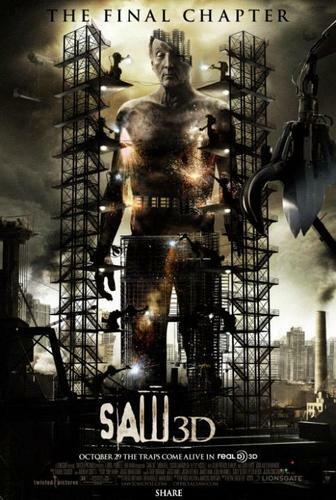 Saw 3D poster. . HD Wallpaper and background images in the Horror Movies club tagged: saw 3d saw 7 poster jigsaw tobin bell. This Horror Movies photo contains rotisserie. There might also be rotisserie, barbecue, barbeque, fire, flames, and inferno.